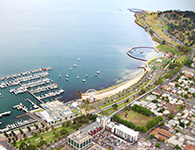 Bendigo Bank also has many branches and ATMs in Geelong and Melbourne. There are bank charges of some kind for most bank accounts in Australia. Nevertheless, there are banks which offer certain accounts without keeping fees or with minimal charges, so it is worth investigating before opening an account. This refers to an electronic payment for purchases available by tapping your debit or credit card when buying. EFTPOS is usually free of charge, although there might be a minimum spend in some stores. These are the machines from where you can withdraw money. You can find them in public places, like shopping centres or even on campus. You have to use the ATM of your bank if you don’t want to pay an extra fee. You can be charged with extra fees each time you use a card from another country in any store of Australia. You should check this out prior to arriving. Most banks enable you to access to your account and do transactions via the internet and mobile apps. Generally, you must have your letter of offer or Electronic Confirmation of Enrolment (eCoE) from the education institution you are enrolled in, your passport, other forms of identification and your Australian Tax File Number (TFN). Australian coins are 5 cents, 10 cents, 20 cents, 50 cents, one dollar and two dollars. Australian banknotes are available in $5, $10, $20, $50 and $100. When shopping, prices are rounded up or down to the nearest five cents. So if an item is worth $4.98, you pay $5.00. If an item is $4.96, you pay $4.95.